- Bespoke fine art commissions. If you have an idea for a particular image that you cannot see within my portfolio. Why not contact me to discuss commissioning a piece of work that will be produced to your very own specification? - Commercial Professional work for publications, websites, promotional, and other media. - All prints and other products are fulfilled by industry leading Loxley print labs. Watermarks are just for internet security and will not be visible on the final print or download. - Please do not hesitate to contact me with any inquiries. I normally offer a same day response. My images can be licensed for use in publications such as books, magazines and websites for editorial and advertising purposes. Create a talking point for your home with a striking piece of wall art. Or perhaps give as gift to a friend or family to help preserve a treasured memory. All image products are available to purchase directly from this site. 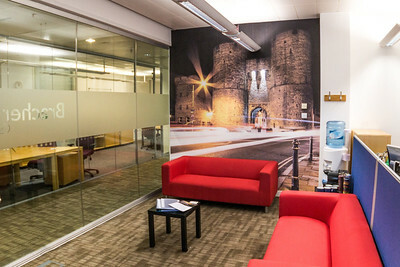 This large scale floor to ceiling wall covering was produced as a project specifically for Brachers solicitors. Wall art can help create an inviting atmosphere for your clients, and is also proven to improve staff morale and workflow. If you would like something similar please feel free to contact me. 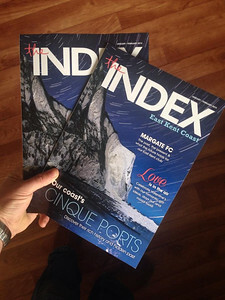 Image licensing for products such as magazine covers, websites, advertising, and other publications which will be sure to give your product that all important wow factor. Currently I do not undertake weddings or other ceremonies, portraits or studio work. I do not provide talks or lectures to photographic societies or clubs. Unfortunately I am unable to facilitate student work experience placements or similar. This may however change in the future. This website and its content is copyright of - Ian Hufton photography©. All rights reserved. Any redistribution or reproduction of part or all of the contents in any form is prohibited. You may not, except with my express written permission, copy, reproduce, download, distribute or exploit the content. Nor may you transmit it or store it in any other website or other form of electronic retrieval system.